Hazardously sour toxic waste candy in a giant 9" tall coin bank. 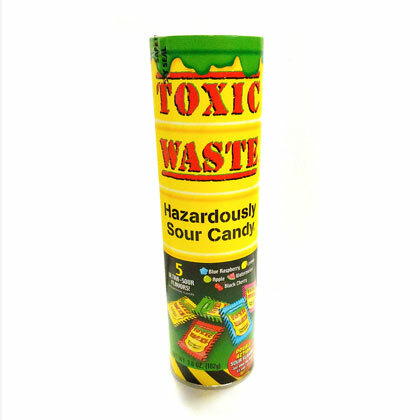 Toxic waste comes packed with an assortment of five super sour flavors: apple, watermelon, lemon, blue raspberry and black cherry. Approx. 10 pieces per ounce. 3.6 ounces.